Drawing a clear distinction between AncestryDNA and Ancestry.com and making sense of their corporate structures has proven to be quite challenging for numerous family historians and enthusiasts that could greatly benefit from their services. In order to familiarize you with the companies under the Ancestry corporate umbrella, we created this comprehensive guide that’ll amalgamate all the scattered sources of information into a single, easy-to-follow manual. 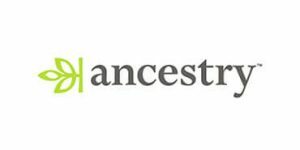 If you’re interested in learning all there is to know about these companies and their services, just keep on reading our detailed AncestryDNA vs. Ancestry.com guide. When we say “Ancestry.com,” we refer to Ancestry.com LLC, which is a private company headquartered in Lehi, Utah. Its corporate predecessor Ancestry Publishing was launched in 1983 to publish more than 40 million genealogy reference books and history magazine titles. In 1990, genealogists started using computers to organize their family trees and publications and began moving toward an incredible new data storage device called the floppy disk. In 1996, Ancestry Publishing launched (and effectively turned into) Ancestry.com and paved the way for researching family history online. In 1999, Ancestry.com changed its name to MyFamily.com Inc, which further fuels the confusion. MyFamily.com Inc then became “The Generations Network” in 2006, which changed its name back to Ancestry.com in 2009. Ancestry.com continued its work and reached the 1 billion record milestone in 2001. That year also kicked off its international expansion and Ancestry.co.uk was born as well. 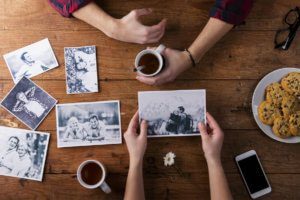 It quickly became obvious that genealogy should be “teamed up” with genetics, which could be used to complement the paper trails family historians used to track their past relatives and family lines. Thus, in 2002, Ancestry.com partnered with Relative Genetics to offer Y and mitochondrial testing to its customers. 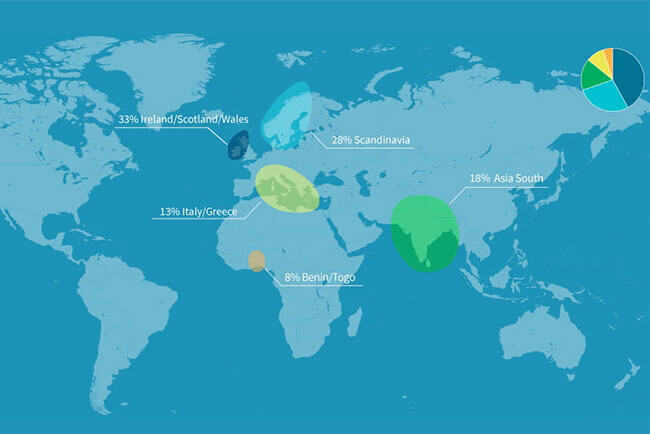 AncestryDNA, as we know it today, was launched simultaneously with the new autosomal ancestry DNA test that checked 700,000 markers within the human genome and started providing users with deeper insight into their ethnicity. In other words, AncestryDNA is both a business branch of Ancestry.com LLC and the name of its autosomal ancestry test. In the meantime, Y and mitochondrial results were joined with the autosomal ones and the company stopped offering them as separate reports. As we already mentioned, Ancestry.com became the biggest genealogical conglomerate over the years by incorporating numerous brands under its corporate wing. These include Family Tree Maker, Find a Grave, Archives.com, AncestryHealth, Fold3, Rootsweb, Newspapers.com, and others. Among its numerous divisions, Ancestry.com currently offers more than 20 billion historical records, its magazine has over 2 million paid subscribers, family trees generated by its users feature more than 700 million names, and its genealogical services offer 200+ million written stories, scanned documents, and photographs. Ancestry.com also operates numerous region-specific sites in native languages, including the UK, Canada (English and French), Germany, Australia, France, Italy, Sweden, Mexico, and others. As mentioned, AncestryDNA is a branch of Ancestry.com LLC. It was Ancestry.com’s biggest step into the DNA testing arena, which completed the initiative started back in 2002. AncestryDNA is a top-of-the-line DNA test based on cutting-edge autosomal testing technology that basically revolutionized the way people discover their family history. The service utilizes advanced DNA science and combines it with the largest genealogical database on the planet. When it comes to actual numbers, AncestryDNA test examines 700,000 genetic markers within your genome and covers 350 geographic regions, which guarantees extremely precise ethnic estimates. It also features the largest database of DNA signatures on the market, which rapidly approaches the 10-million milestone. This is an at-home test, which means you can simply order the test kit online, have it delivered to your home address, provide the DNA sample (saliva) in the comfort of your home, and mail it back to the processing lab using the pre-paid mailer. You’ll receive your results online in 6-8 weeks – it is as simple as that!